s I already mentioned once (in the review of Wow Audio Lab L1/M1 amplifier), Audio Show in Warsaw is a place for me to collect information. Not necessarily about the sound but rather about brands, products and people. But I always welcome a nice surprise, I mean a really good sounding system. 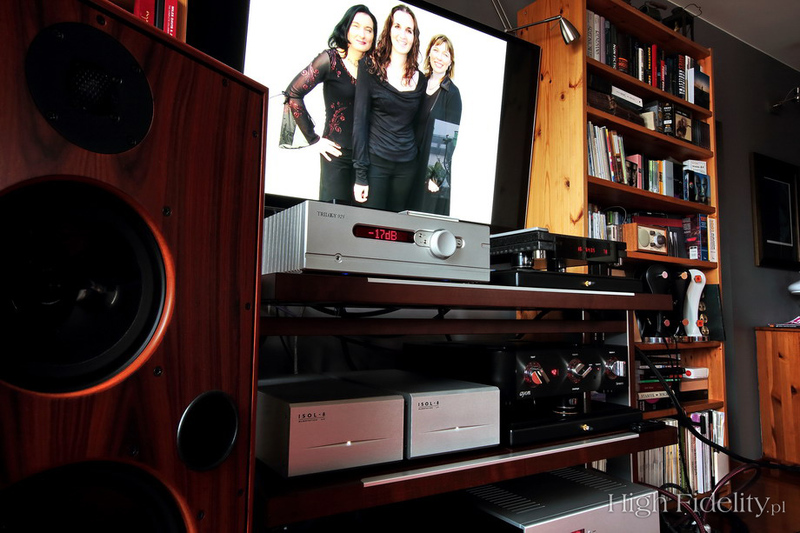 Such a system, such a presentation is usually awarded by us by Best Sound Audio Show. Such an award in 2014 was given to a system that included a product of a British company Trilogy Audio, and one can find it mentioned next to their hybrid integrated amplifier 925 on company's website. To be clear – this system, with this amplifier delivered truly delightful presentation during Show, so the Award was no coincident. 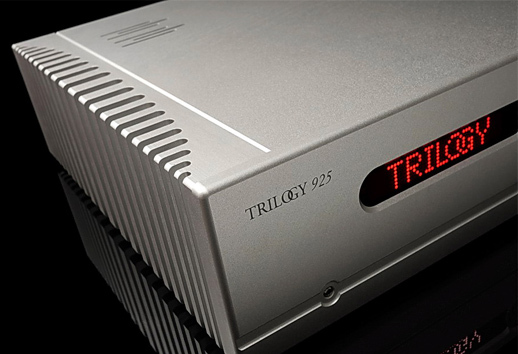 Trilogy was founded in 1992 by Nic Poulson and from the very beginning power supplies of their devices received special attention from designers. This might be obvious today, but at the time power supplies were rarely at the center of interest of audio equipment designers. Nic knew what he was doing – his professional background (working for BBC, designing runway lighting systems and others) gave him enough knowledge and experience to ensure that. Since power supplies were that important for him it was a natural move to start another company that would focus its activity on designing devices and accessories improving a quality of a current fed to audio systems. And so he was a co-founder of a company called Isotek. Little is known about reasons but Nic left Isotek in 2001 to start his own company ISOL-8. It's a sister company to Trilogy Audio. If you take a look on Trilogy's webpage you'll surely notice that there seems to be a few blank years in company's history between 2001 and 2008. It seems that it was a period of hibernation for this company. Before that Trilogy offered tubes based devices. And then, in 2008, they came up with the first hybrid design, and integrated amplifier called 990. After that new products were launched but it seems that it never has been done in hurry. A phonostage, 907, was launched in 2010, a headphone amplifier, 933, in 2012. 2013 was a year when a new hybrid integrated came to life - the 925. 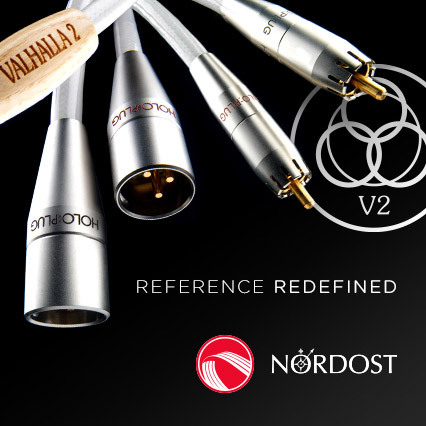 It is a fully balanced design, with a preamplifier section based on two double triodes 6H6Π. As one can read on manufacturer's webpage, these particular Russian tubes were chosen for their “high transconductance and very high linearity”. A carefully optimized servo ensures the tubes operate perfectly symmetrically. The output stage works with no negative feedback loop and it's based on two types of transistors – MOSFETs and bipolar ones. The former operate only within the first watt, in class A. The latter operate up to few watts also in class A and then they start to work in class AB, in push-pull mode. The device looks really solid. Operating it is something nerds will love. After turning the amplifier on one has to input a unique PIN before one can start to listen to the music. The amplifier has a sophisticated monitoring system to maintain safe operation at all times. Temperatures and critical voltages report to a dedicated microcontroller. Proprietary formulated algorithms monitor output current against time and frequency with great accuracy. This enables reliable discrimination between DC faults or demanding musical conditions, providing excellent protection but avoiding unwanted shutdowns. Despite the fact that it is a classic integrated amplifier it is also a user-friendly one. User can label inputs and set a sensitivity of each of them separately to equalize different signal levels from different sources. Settings of volume and channel balance are stored in device's memory so the next time device starts it uses the same settings. Remote control allows user to change phase, but it can be set also in amplifier's menu. A proprietary external communication interface, TAS link, allows 925 to communicate with outside world and other Trilogy devices. A real time clock provides multi event, seven day system that allows user to pre-programm an activity of the amplifier: it can turn on or off the device at set time on any day of the week using TASlink. User might use this system to turn the amplifier on some time before listening session, thus allowing a warm-up time. A sleep function provides power down after a selected period of user's choice. Other Trilogy products can be "Named" via TAS link for status monitoring and remote control. Any intelligent features will then be available for use or monitoring via the 925. A wide range of user programmable defaults are possible, including setting the home page display and PIN protected control menu locking. This amplifier was used as a part of my reference system, and additionally with the Compact Disc CEC CD5 Player, that was used also as a DAC receiving signal from a PC. As a power cable I decided to use the Crystal Cable Absolute Dream. Along the amplifier user receives a small, plastic, not particularly nice looking remote. If one wants something better it's an optional purchase – a very good looking, user friendly Personal Remote Control (PRC). I believe that it is an integral part of the 925 experience so one should simply add it to the bill – one shouldn't regret it. From a designers point of view an integrated amplifier has a lot of advantages from a sonic point of view. You can keep the signal path really short and the current loops nice and tight. You can often miss out an extra stage of amplification compared with a pre-power combination too. The only area where you have more restrictions is the physical size, you have to package everything in one chassis. That gives you a ceiling for output power because you need to shift the heat of the output stage and you have a size limit on the power supply. I didn’t want this restriction to limit the every day performance of the amplifier at all, so we made the 925 as good as it could possibly be within its power envelope. I wanted the amplifier to be fully balanced, even right through the output stages and drive to the loudspeaker. Some amplifiers claim to be balanced, but they get converted to single ended somewhere along the signal path. The signal positive and signal negative are never tied to ground in the 925. This keeps big currents out of the vital ground reference and the whole signal path is fully symmetrical. The gains in small signal resolution and dynamic composure are worth the extra complication of doing everything twice; once for the positive phase and once for the negative phase. It also means we could do absolute phase inversion as a feature. I observed long ago, that if everything else is equal, zero feedback amplifiers have better musical flow and less listening fatigue because the harmonic structure of the amplifier varies less under the different drive conditions the music demands as it plays. The input stage uses a pair of 6H6П triodes for Class A voltage gain and the output stages use our unique MOSFET and bipolar topology for current gain, so the amplifier has no overall feedback.